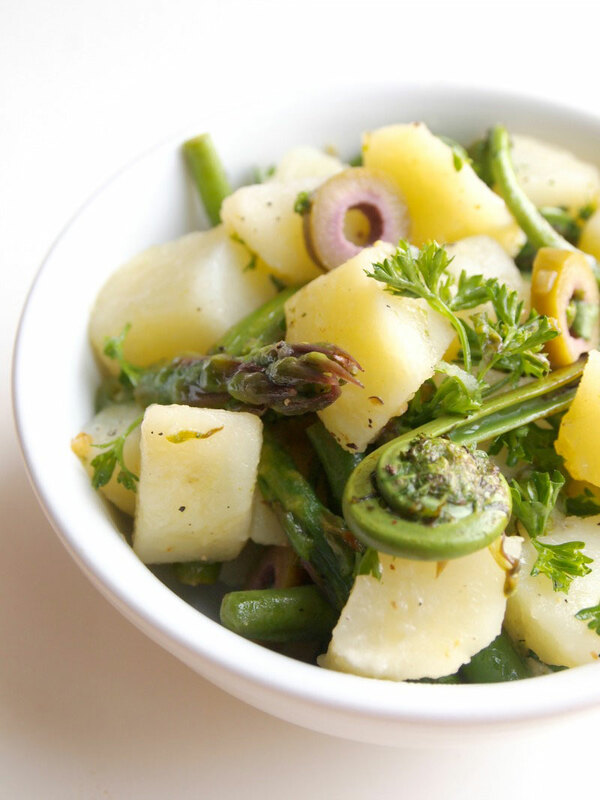 There is something charming about a good potato salad, full of vibrant flavors and textures, that always makes me feel at home. My mother loved to make several versions of these salads: sometimes she added lots of parsley and capers, which I found beyond delicious. 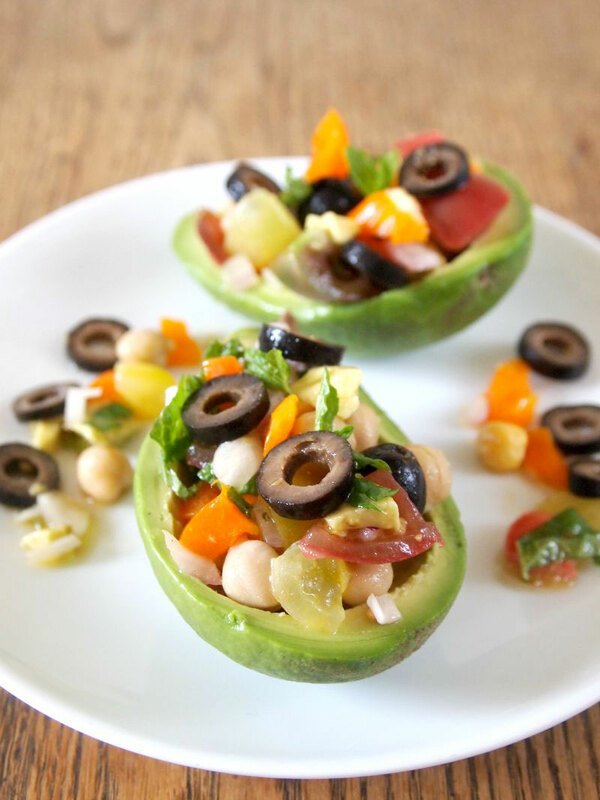 Sometimes the salad was full of shallots, olives and hard-boiled eggs, among many other ingredients. Maybe it was the dressing, so simple but at the same time so flavorful, that made her potato salads the perfect side dish for roasted chicken, fish, sausages or pork. And her potato salads were part of every lunch when we went to swim at the beach or the lake. I can still feel the warm breeze of the ocean while enjoying the yummy picnic. When I was growing up in Nicaragua, fresh asparagus were not part of the menu because only the canned variety was available, and at the time, they were awful, with an unappetizing metal flavor and a disappointing texture. 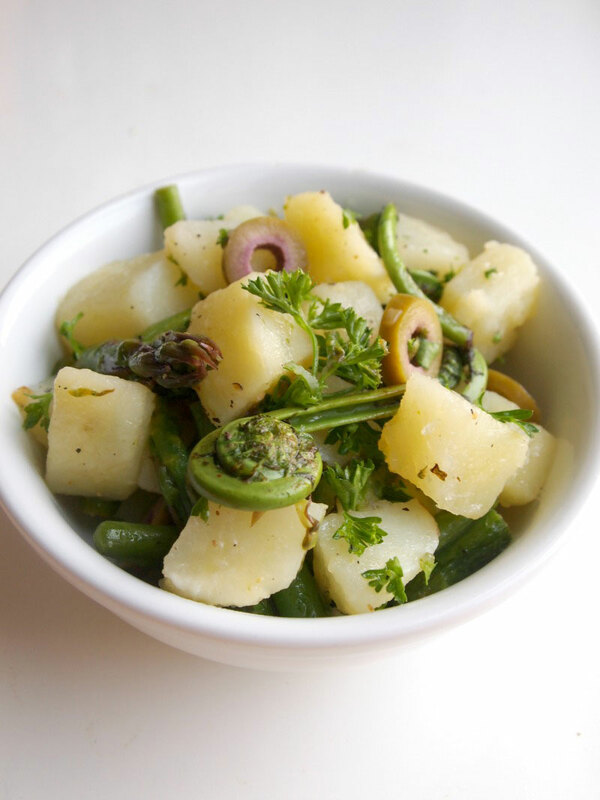 Later on I learned that when in season, lightly steamed fresh asparagus are a nice addition to any potato salad, adding a crunchy bite. The same goes for fiddleheads. 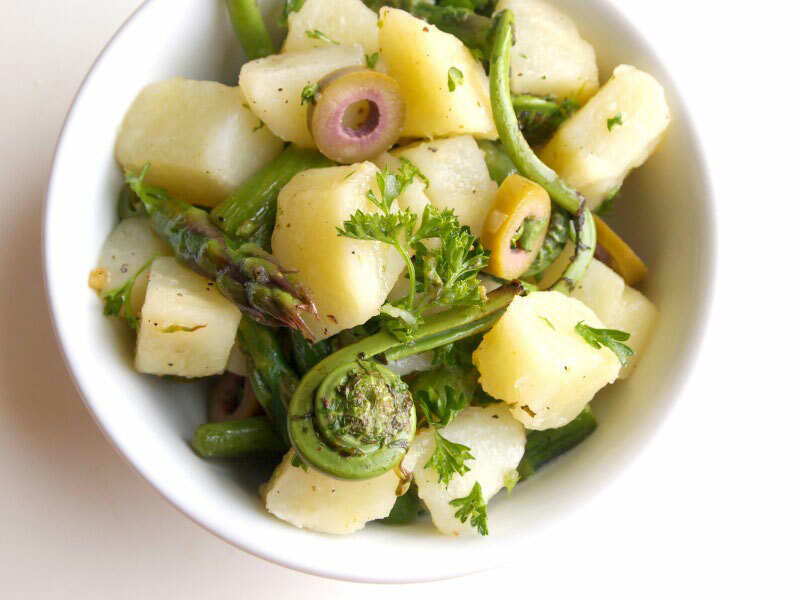 These are so good and so easy to make, and are a great addition to a basic potato salad, transforming this dish into something really special. If you’ve never tried them, they have a flavor that resemble asparagus and artichokes. To make them trim the stalks, and steam them for about 10 minutes. 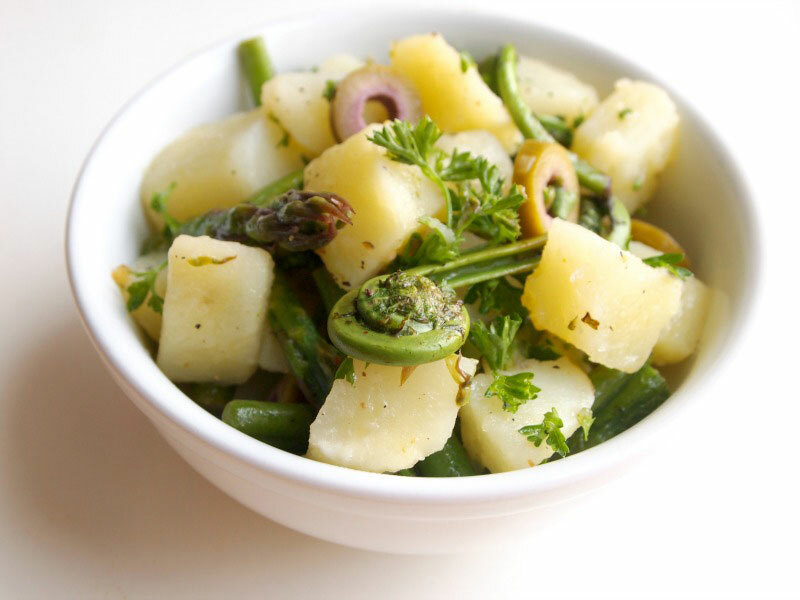 I often like to make potato salads using Idaho Potatoes because they have the perfect texture and absorb the dressing without falling apart. Instead of boiling them, I peel them, cut them in chunks and steam them for a few minutes. 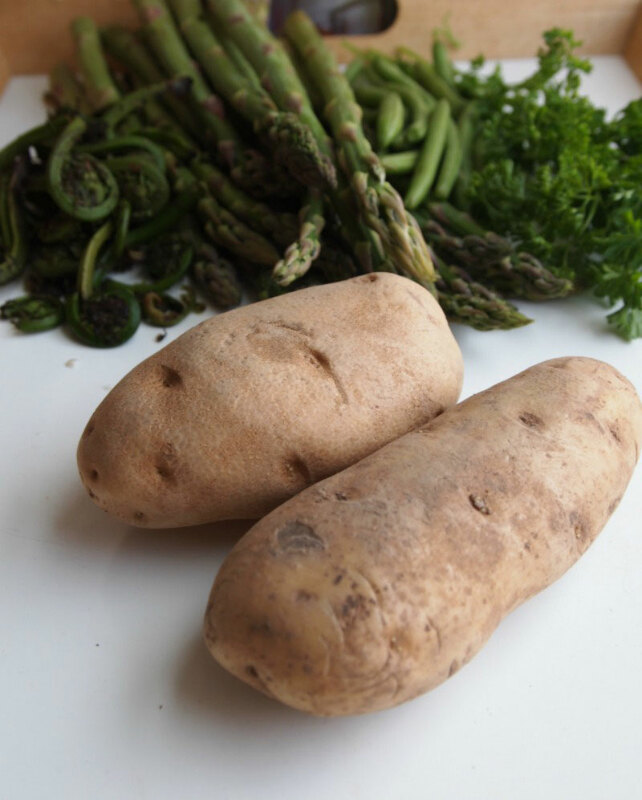 Season the potatoes with a generous hand, combine with the steamed veggies, and you will have an unforgettable salad. Steam the potatoes for 5-10 minutes. They should be tender, but still hold their shape well. Transfer to a bowl and set aside to cool. 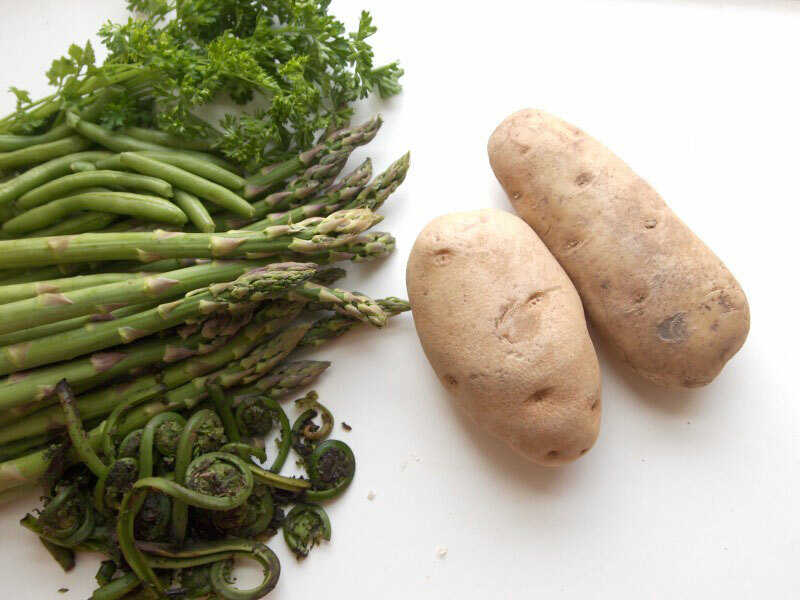 Steam the fiddleheads, asparagus, and green beans for about 5 minutes or until al dente. Sauté the green veggies with the garlic and olive oil for 2 minutes, stirring. Mix in with the potatoes, and add the rest of the ingredients and the dressing.